When we think of 4th of July, a lot of us think of fireworks, warm summer weather, grilling out, tasty sides, watermelon, apple pie, and ice cold beer. Personally, I am not a beer drinker but for all of us winos out there, Vino!! Wine Shop is looking out for us. Need some ideas of wines to pair with your barbecue meals? Vino!! Wine Shop has just the tasting for you! Head to Vino!! 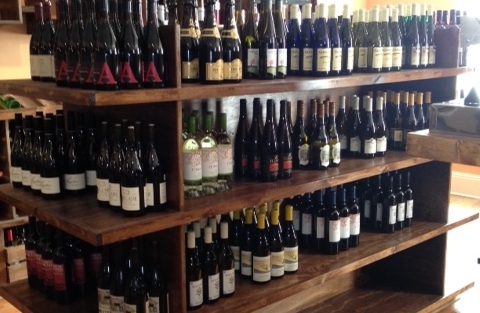 Wine Shop from 5-7pm this Friday, June 26th for a tasting with Greg Pfaender from Empire Distributors. • 2014 Clos Henri ‘Petit Clos’ Sauvignon Blanc, Marlborough, New Zealand $18.99: 100% organically grown Sauvignon Blanc made by Sancerre producer Henri Bourgeois. A young, vibrant wine that comes from the estate’s younger vines. Chalky and flinty mineral notes are followed by citrus and pretty white flower aromas. Good balance, a very nice acid presence and a smooth finish. Tangy, round, soft, super fruity and easy to drink. • 2011 Badiola Acquadoro Viognier, Tuscany, Italy Reg.27.99; SPECIAL $19.99: 100% Viognier from the coast of Tuscany, in Maremma. A harmonious merging of the historic aromatic qualities of the varietal and the added value of the terroir, which in Acquadoro translates into the fragrance of fresh flowers and Mediterranean herbs. Intense spicy nose, with balsamic and wildflower notes. Elegant and delicate, with a honeyed, rich body. • 2013 Chronic Cellars Purple Paradise Blend, Paso Robles, CA $16.99: Made by 2 brothers, this blend of 70% Zinfandel, 14% Syrah, 11% Petite Sirah, and 5% Grenache has intense aromas of smoky vanilla, ripe cherries, white pepper, allspice, nutmeg and cinnamon on the nose. Super rich flavors of ripe, juicy cherries and strawberries, chocolate, mocha, leather and marzipan. Mild tannins and balanced acidity. • 2011 Edmeades Vineyards Zinfandel, Mendocino Co., CA $16.99: 100% Zinfandel made in the traditional technique with natural wine making. Smooth and lush with aromas and flavors of blackberries and spice. Silky and showing bright acidity and a long, juicy finish, this is a nicely balanced wine. • 2013 Chronic Cellars Sofa King Bueno Blend, Paso Robles, CA $22.99: A blend of 47% Petite Sirah, 45% Syrah, 5% Grenache, and 3% Mourvedre made by 2 brothers. Elegant and sophisticated, the nose is full of red berries and light violets. Followed up with mild tannins, a hint of tobacco, plums, and a lingering finish. Vino!! 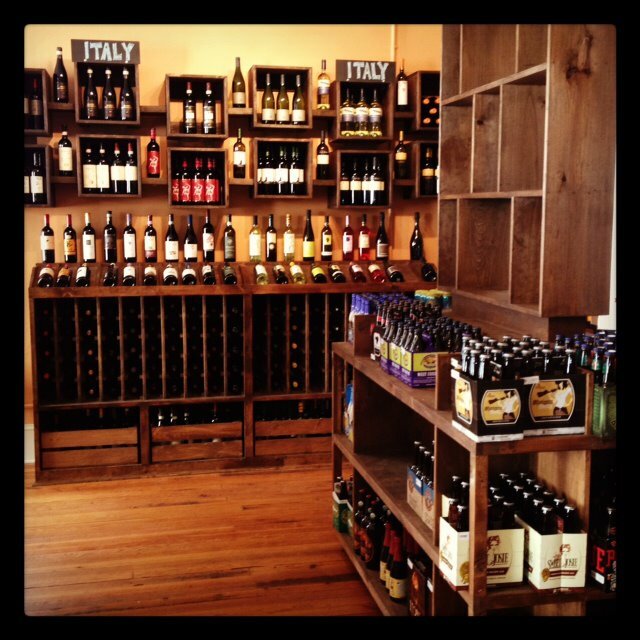 Wine Shop doesn’t just cater to the winos out there, check out the new craft beers they have in shop! I hope you have a great 4th of July filled with friends, family, tasty food and drinks, beautiful fireworks and remember to drink responsibly!